In July Tat Wong Kung Fu Academy Headquarters in San Francisco hosted it's summer Black Belt test where students and Instructors from the San Francisco and San Mateo Kung Fu schools as well as our affiliated Kung Fu school, the One Tribe Martial Arts Academy in Concord (previously Tat Wong Kung Fu Academy in Concord) tested for Black Belts, First, Second, Third and Fourth degree Black Belts. Congrats goes out to all Kung Fu athletes and families of those graduates. Thanks to all family and friends and Instructors, Sifus and Masters in attendance who gave great support to our Kung Fu athletes testing. 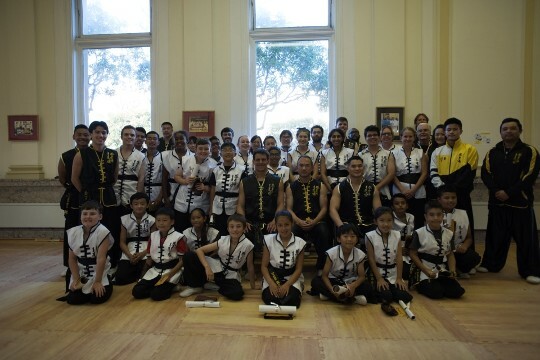 A big thanks to Grand Master Tat-Mau Wong for helping us all get started and continuing to inspire and lead in the great traditions of Choy Lay Fut in the Tat Wong Kung Fu Academy way.